All concerts are at 3:00 p.m. in the Turrentine Room of the Escondido Public Library. They are free and open to the public and generously sponsored by the Friends of the Escondido Public Library. 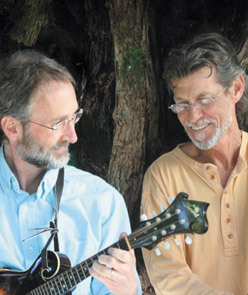 Their mutual love of Irish and traditional music brought Gunnar Biggs (bass) and Bill Bradbury together in this unique pairing of bass and mandolin. MandoBasso performances include mostly original compositions with some traditional tunes, classical music, jazz and ragtime. Come celebrate the launch of the Summer Reading Challenge with the Blue Creek Band. 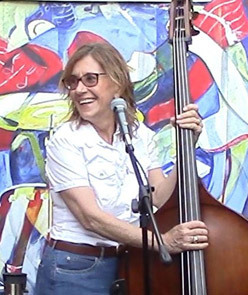 Summer Reading Challenge signup stations will be available as the Blue Creek Band entertains with Bluegrass, Americana, and a mix of blues, swing and gospel.